An adoption go bag is starting to take shape. We found our big ol’ suitcase and started putting in a few goodies. We’ll have some basics packed in the next week or so and a packing list just in case we have to GO with short notice. Jessica is a planner, and lets be honest, if you’re told you need to leave within 24 hours to meet your baby, your minds going to be gobbledygook. 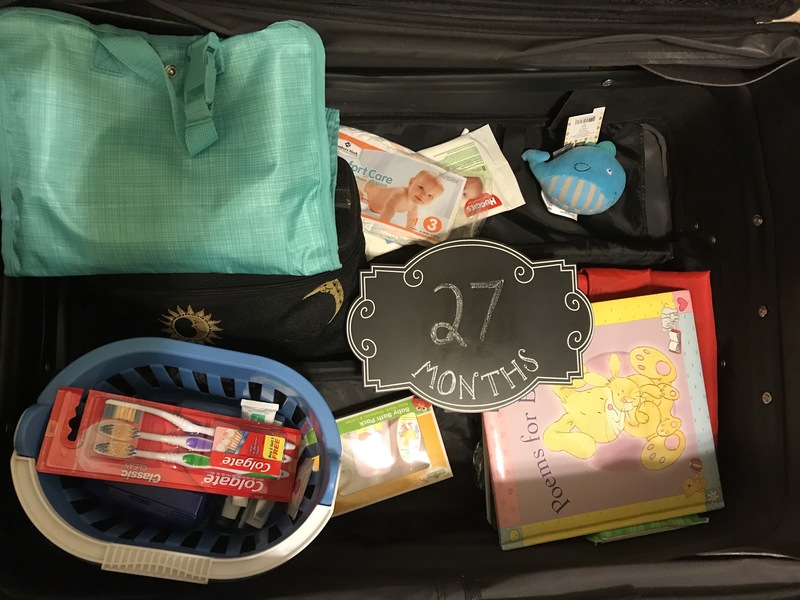 What do you think we should pack for a week or two in another state with a newborn? No match yet. Just trying to be prepared!